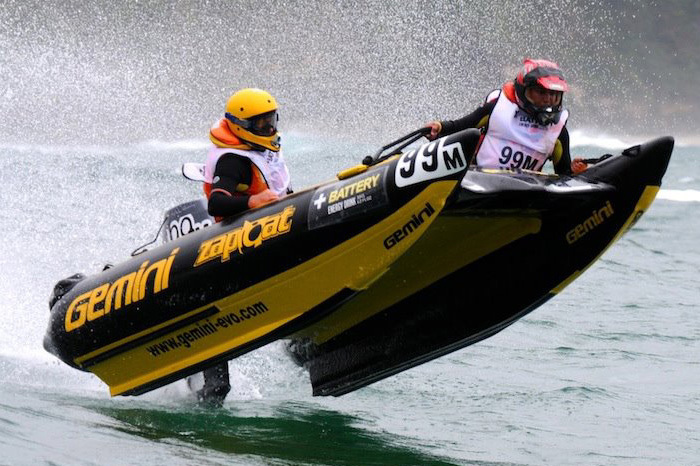 Buy a Gemini Zapcat FF-15 inflatable racing boat and join us! 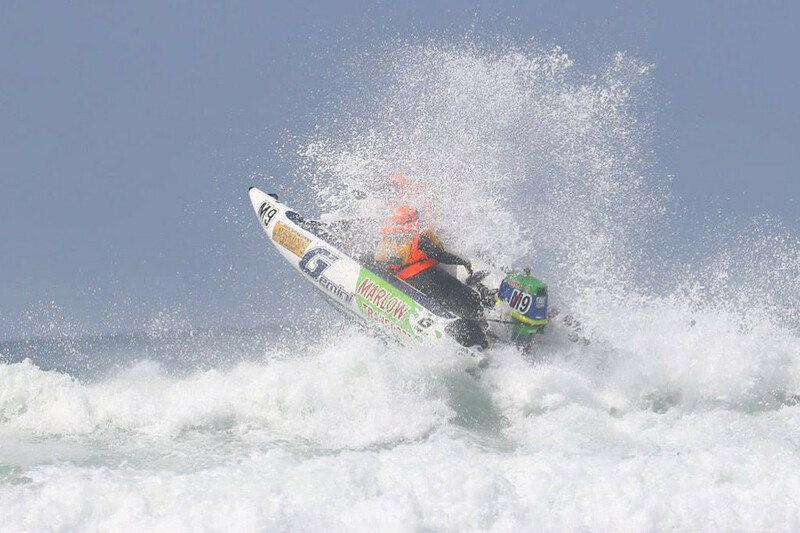 Have acces to the best with this original Zapcat, 2016 Trans Agulhas price winner. 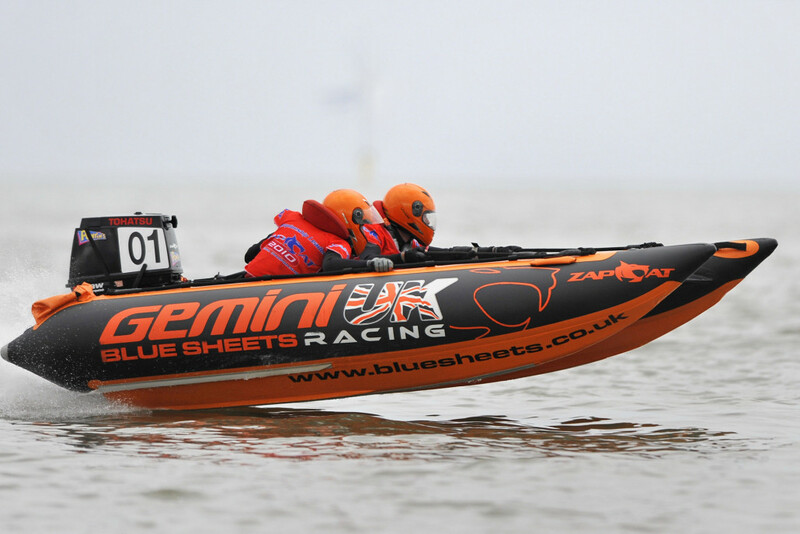 After the succesful Z10 and the EVO-1 Zapcats, Gemini Marine now launched their latest model, the Gemini Zapcat FF-15. 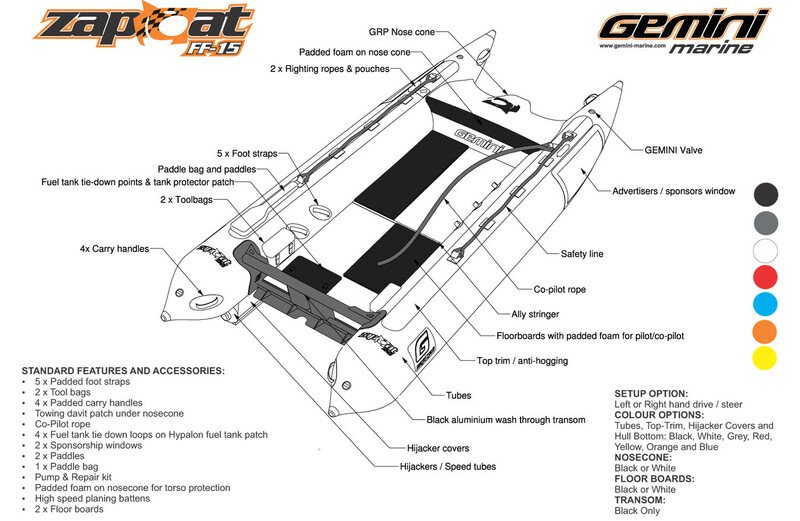 A Zapcat is a catamaran inflatable racing boat. 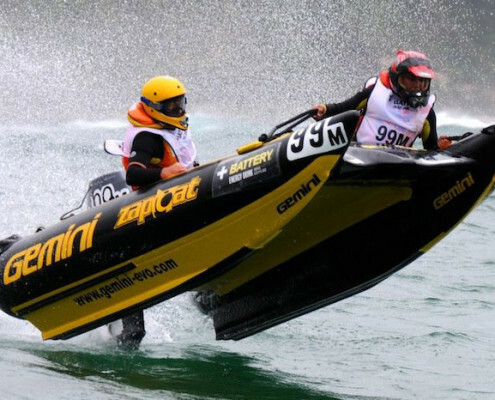 As Zapcat is used commonly to refer to these types of boats, Zapcat officially is the specific brandname from Gemini Marine. Other common names of this type of boat are Pencil Ducks or Thundercats. 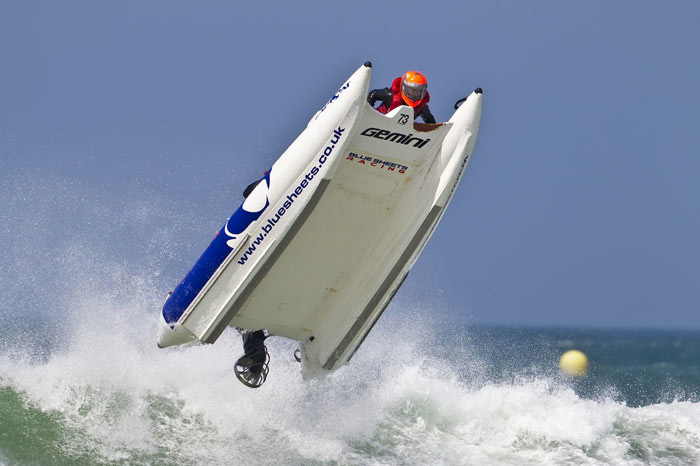 Due to their shock absorbing tunnel hull design, a Zapcat is a very stable inflatable, capable of handling extreme rough seas and large surf. 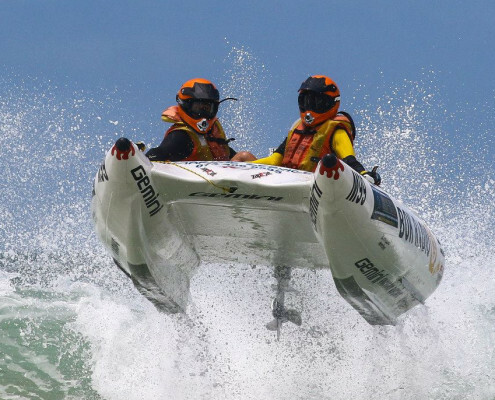 With the boat only weighing less than 150 kgs including a 50 hp outboard engine, the Zapcat can easily be trailered or even carried by two persons. 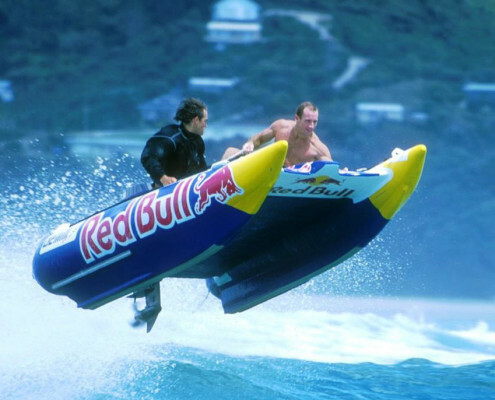 When you buy a Gemini Zapcat racing boat, you will buy an inflatable where over 30 years of experience is put into. 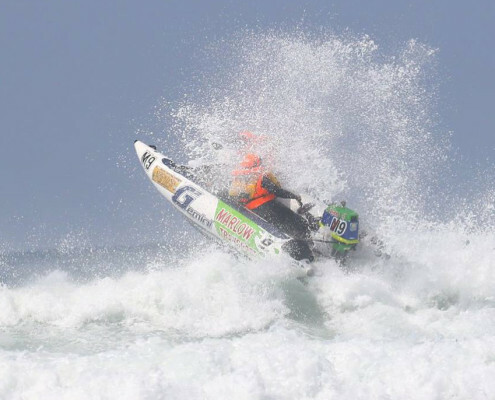 Since 1988, the Trans Agulhas Challenge, the toughest inflatable boat race in the world is held every down the south coast of South Africa. 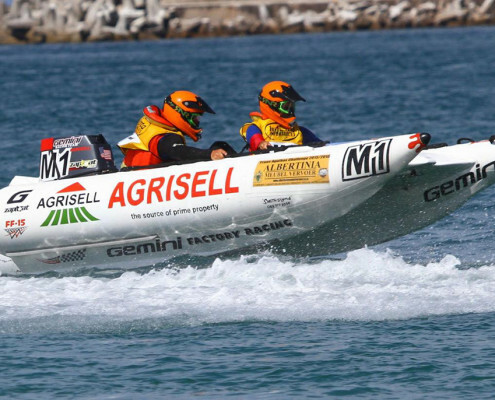 In this 5 day race, the participants have to cover 700 km! 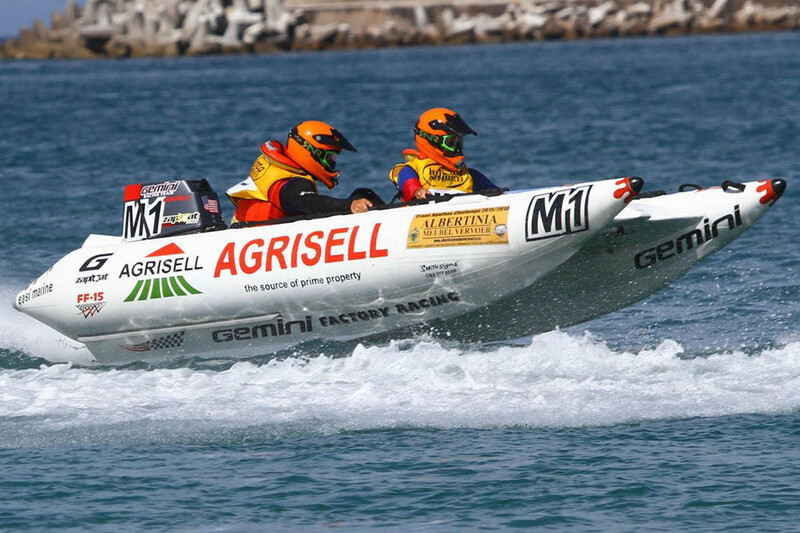 In 2016 the fastest overall time in the Surf Circuit as well as the grueling Long Haul with an overall lead of more than 25 minutes was team Agrisell with their Gemini Zapcat FF-15. 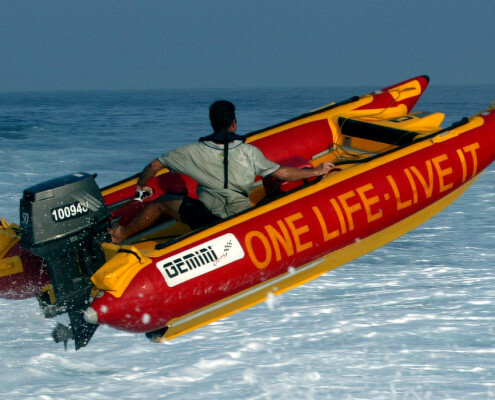 Flat water or rough water conditions, the Gemini Marine Zapcat FF-15 inflatable racing boat once again proved its speed & handling capabilities in these harsh conditions. 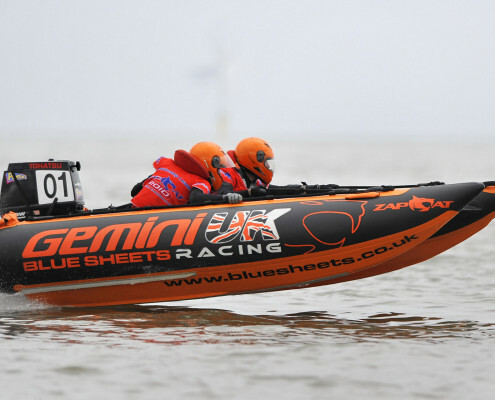 Since 2001 the Gemin Zapcat even has its own racing class in the UK: the UK Zapcat Racing National Championship! 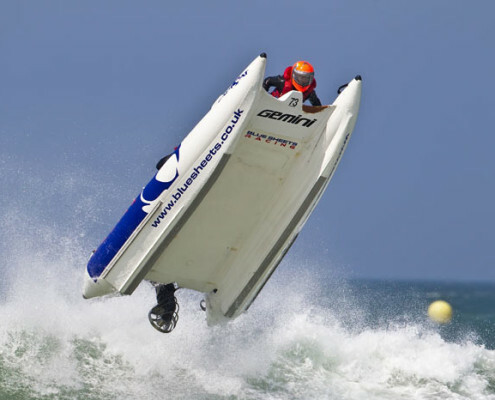 Zapcats originally are built for racing, but it is also an excellent boat for thrill seekers and it will give you hours of adrenaline and fun! 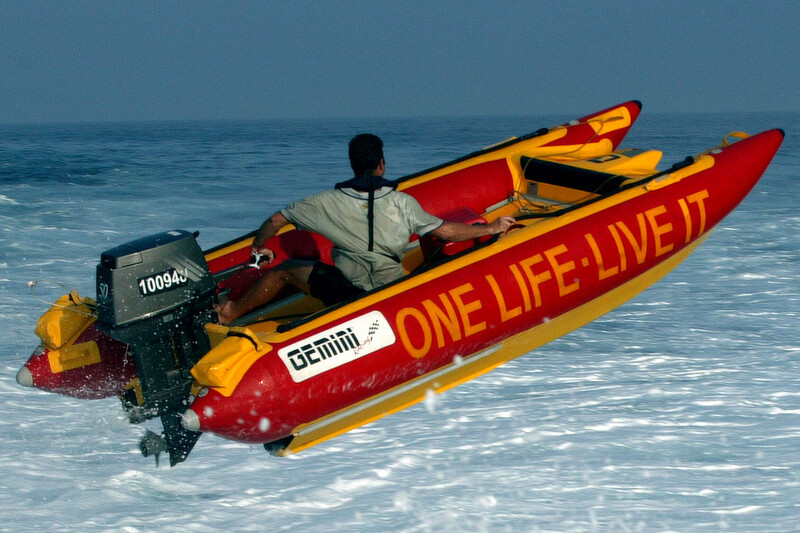 Optimal when equipped with a 50 hp Yamaha or Tohatsu 2-stroke engine. Empty boat weight: 85 kgs. Max. 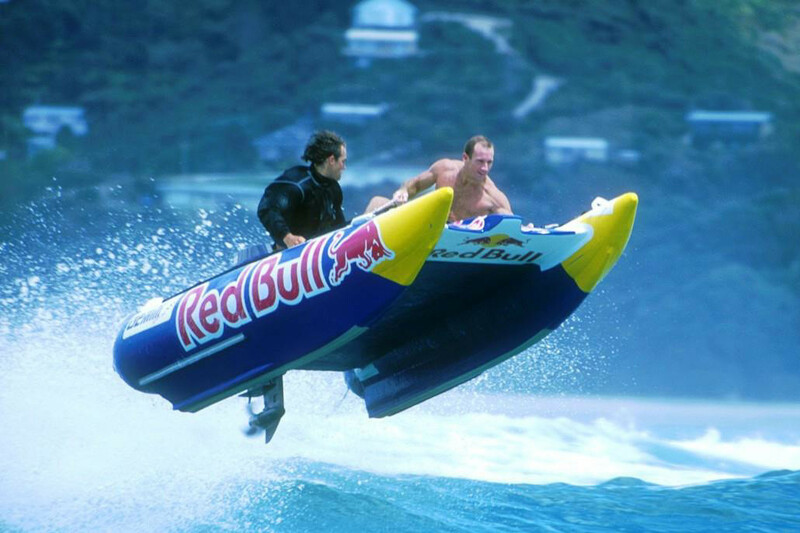 engine weight 95 kg. 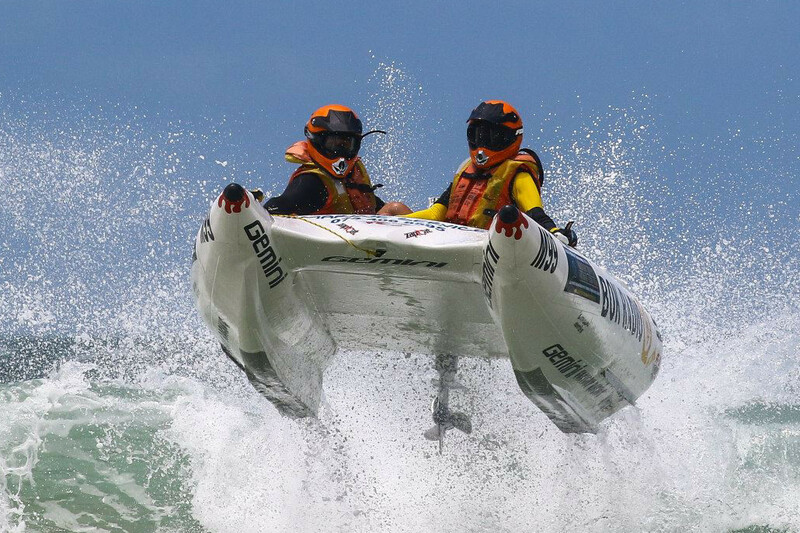 This Zapcat Racing website is part of novi marine, an authorized Gemini Marine dealer in the Benelux. Any questions or enquiries? Please contact us!